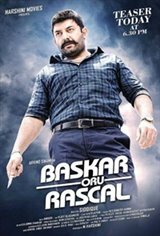 The story of Bhaskar Oru Rascal is based on the lives of single parents (played by Arvind Swamy and Amala Paul) and their kids who are friends at school. Arvind's son is a patient and peace-loving child, whereas, Amala's daughter believes that violence is the only solution to all problems. The parents too whose personalities are poles apart initially don't get along very well. How the families come together, forms the crux.